Travel & Entertainment expenses are a prime focus of pro-active fraud audits and can result in large recoveries and identification of potential losses. From fraud and abuse to clerical errors and loss prevention, we’ll take you from novice to expert using IDEA to analyze T&E Expenses. Learn the whole process from start to finish including what fraud looks like and creating most essential tests. Jennifer Ellison has nearly two decades of experience in IT audit, forensic audit, and ethics and compliance for Fortune 200 energy services companies across 20 countries. In 2018, Jennifer joined Audimation Services as an Audit Analytics Consultant to help clients implement and apply CaseWare IDEA® to extend their auditing and fraud detection capabilities. 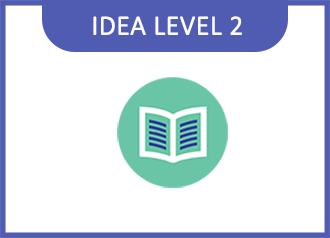 As an IDEA Power User since 2001 — primarily using IDEA in fraud investigation and anti-corruption audits — Jennifer takes her online and on-site training and consulting to the next level by sharing specific, real-world examples of IDEA applications and providing knowledge and support for Professional Services. Also an experienced SAP user, she helps clients download and analyze SAP information. Jennifer is a graduate of Ambassador University and is a Certified Fraud Examiner (CFE) as well as a Certified Information Systems Audit (CISA) – non-practicing. CPAs may contact us by email at [email protected] to receive promotional materials containing details on the required elements of the National Registry of CPE Sponsors.